Learn more about what the American Dental Association has to say about about quitting smoking. What is a Cavity and What Causes Tooth Decay? While cavities are very common dental problems in both children and adults, they can be prevented. Find out what you need to know to stay ahead of cavities. It’s actually pretty simple. Decay (or softening of enamel) happens over time and the result is a cavity-a defect left in the tooth. Teeth are covered with a hard protective top layer called enamel. But once the enamel is weakened by acids produced by bacteria, a pit or cavity is formed in or on the tooth surface. What Causes Cavities and Tooth Decay? While it’s ultimately acid-producing bacteria that leads to cavity formation, the most common cause of bacterial growth is inadequate daily brushing and flossing. Certain foods (carbs) and sugary drinks contribute to cavity formation-bacteria metabolize these carbohydrates and sugars and produce cavity-forming acids. To read the entire article visit OralB.com. Lots of people ask their dental professional if there’s a difference between plaque and tartar-and it’s a great question. Both plaque and tartar buildup are common dental problems. Significant plaque buildup can result in tooth decay and gum disease. Tartar is calcified plaque. Arming yourself with the facts can help you be smarter about how you care for your teeth. Plaque is sticky, colorless film containing bacteria that builds up naturally on tooth surfaces and especially along the gum line within four to 12 hours after brushing. Sugars in food and drinks can combine with plaque bacteria to release acids. These acids attack tooth enamel and break it down, which can then create cavities. Plaque bacteria can also contribute to gum disease, like gingivitis. Regular brushing and flossing are your most effective tools in the fight against plaque. If it’s not removed daily, plaque eventually accumulates and hardens into tartar. Learn more about what the American Dental Association has to say about receding gums. Gingivitis is an early stage of gum disease caused by the buildup of plaque bacteria on the tissues that surround the teeth. Plaque, a naturally occurring biofilm containing bacteria, can lead to gingivitis if not removed by daily brushing. Gingivitis is quite prevalent. But while almost 80% of adults will experience some symptoms of gingivitis, that doesn’t necessarily mean it’s inevitable. It’s important to note that occasionally there might be no noticeable pain or apparent signs, leaving people unaware that they have it. 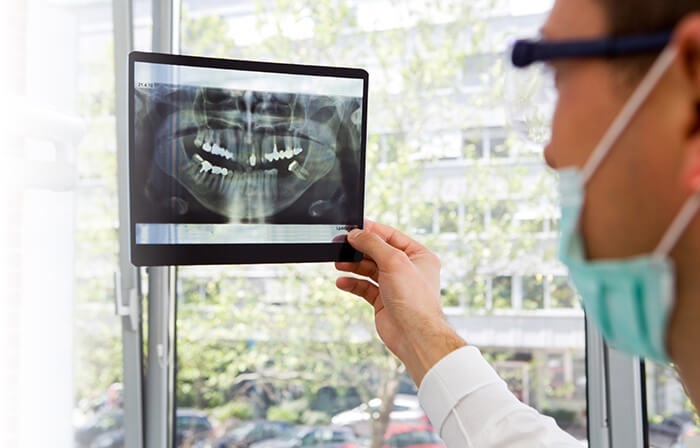 That’s another good reason to schedule regular checkups with your dental professional every six months so he or she can identify it and suggest treatment options. Some symptoms of gingivitis include red, swollen, and bleeding gums. Chronic gingivitis can lead to periodontitis and chronic bad breath. If these symptoms persist, it's important to talk with your dental professional to determine the best treatment. In the meantime, learn what you can do to protect against gingivitis.